Today, we are going to travel to South Korea where media bloggers have captured the incredible transformation of a family home, which has gone from very old-fashioned and bland to savvy and chic. In fact, we will learn how we too can make a few changes to our own homes, which will instantly transform them. The design professionals responsible for this renovation have paid attention to the smallest details while incorporating lots of light and fresh air into the home, which makes all the difference. Are you ready to see? This home was completely lifeless before the renovation with bland and washed out walls, which do nothing to enhance the white furniture used throughout this space. 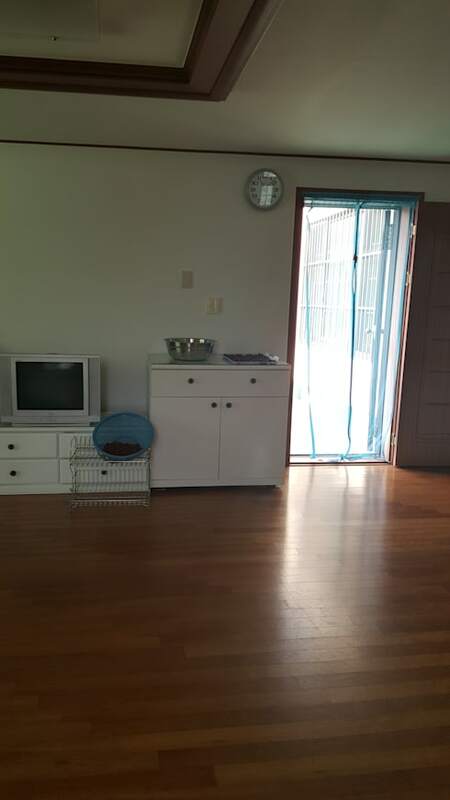 While there is lots of potential for natural light, the room looks very dark and dingy. The dark wooden flooring makes it seem even more so. The elements in this space are also very outdated, including the old kitchen clock and television. There is nothing modern or trendy about this space. 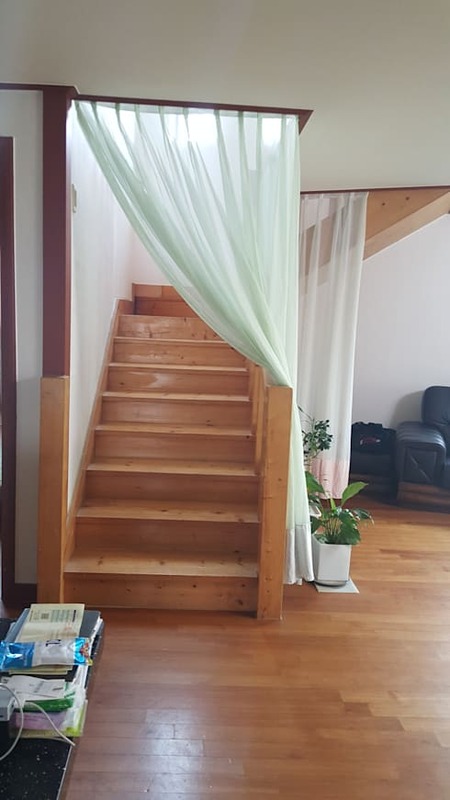 If we come across the wooden staircase in this home, which features a large white curtain across it, we can see that there isn't exactly anything wrong with this interior design, but it is not very stylish or savvy. In fact the finishes in this home are just a little bit outdated, which means that the potential that it holds is completely under-utilized. The white curtains also do nothing enhance this space! Have a look at these wooden staircases that wow to see what a modern staircase should look like! In this image, we can see how by paying attention to details, the designers have completely transformed the home without compromising on the homely look and feel or the charm. 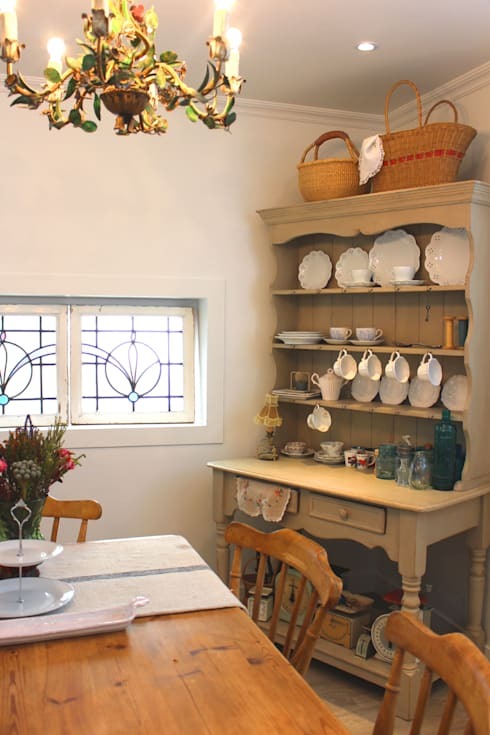 In the dining room, the walls have been repainted a fresh white, which work in harmony with the sandy-coloured display cabinet and wooden dining room table and chairs. The white walls reflect the natural light that now streams into this space, creating a very spacious and warm environment. The display cabinet stores the family's favorite cutlery and crockery, which also contributes to the decor and design of the space. This is a great design tip and shows how functionality and style collide! On the dining room table, we can also see how the designers have added a fresh vase of flowers to the space, which naturally beautifies the room. In the living room, we can see how the designers have kept the colours soft and neutral, but have introduced some pastel shades for a bit of colour and personality. They've also included some beautiful pieces of artwork and decor items, including very lavish and intricately designed lamps and lights. These little touches bring personality and charm to the home, enhancing its appeal, while remaining functional at the same time. Soft white curtains cover the windows, allowing for sunlight to stream in without it becoming too overbearing. The result is a very tranquil feeling throughout the home. Now this is a bedroom that inspires and delights! In this image, we get a clear sense of how the designers have moved away from dark tones and a dingy environment. 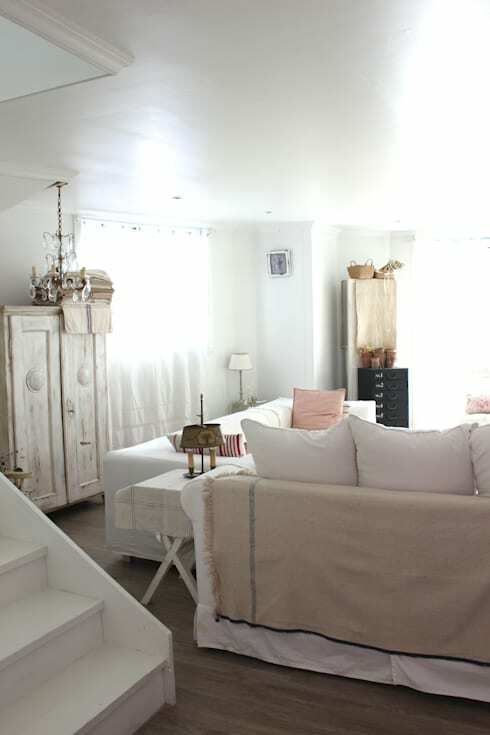 The very light colours ensure that this space feels serene and cozy at all times. The bedroom features a beautiful and plush white rug as well as a very classically designed bed and sofa. These bring a charming look and feel to the room, while a few cushions introduce some patterns and colours. The ceiling features a gorgeous and detailed chandelier, which adds a touch of luxury and style to the space. If you like this bedroom, you'll love these tips on how to make your bedroom more romantic. What do you think of this renovation?